The International Institute for Democracy and Electoral Assistance (IDEA) supports democracy worldwide, working from its headquarters in Stockholm, Sweden. The challenge was to design a global intranet that would help them work better together. Democracy is a topic very much in everyone’s mind at present, as the world sees immense change happening across the Middle East, Europe and Africa. As a small organisation, IDEA has seen significant growth, with staff often working in developing countries, in small regional offices, and with a high degree of cultural diversity. Amid this complexity, the communications and technology teams had a goal for the global headquarters to become a knowledge broker, more than simply a publisher of information. Their aim was also to bind together previously separate (and often local) approaches into a more cohesive whole, that addressed both local and global needs. There were also many process and productivity issues which could be improved. While the central teams had made good progress on addressing underlying technology issues, the challenge was to see the wood for the trees, and to decide on how to approach the overall project. While the broader scope looked at enterprise-wide information management, it quickly became apparent that an improved corporate intranet could be both the platform and conduit for improved information practices. Reaching out across the globe, IDEA chose to engage Step Two to assist them with this work. A strategy and plan to better coordinate and target information activities. An overall information model that clarified what content was globally valuable, how information should be managed in the regions, and where to focus limited corporate resources. A prioritised list of pragmatic, actionable activities that would move the organisation towards its information sharing vision. A two-way communication and collaboration platform for use by the whole organisation. A new intranet structure and model that allowed regional teams to be better connected to the ‘mother ship’ and play a more strategic role. Greater coordination and consistency of working practices across the globe. A formal intranet manager role with clear responsibilities and overall governance. Having an effective overall information model underpins the successful design and management of a global intranet. Having the project driven by a small group of individuals with a vision, and the persistence to keep going in the face of significant organisational challenges. Conducting targeted field research at a number of locations around the globe. Bringing the stakeholders together, and spending the time to ensure consensus. Focusing on the needs of the regional staff (and operational staff in Stockholm), in preference to taking a centralised ‘corporate’ perspective. Breaking down the information challenges into manageable ‘bite-sized’ activities. Applying best practice user experience (UX) techniques throughout the project, to ensure the solution was usable and efficient. Using the technology platform to meet the unique needs of the organisation, rather than expecting the business to mould to the technology. Researching the needs of staff, including those in regional locations. Spending intensive on-site time in Stockholm, primarily conducting co-design sessions to rapidly deliver key elements. Creating a common vision and alignment. Providing remote support to the team, primarily to impart key techniques and approaches. 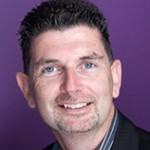 Steve Byrne is a specialist in knowledge management, combining this with years of experience as an organisational psychologist. As a senior member of the consulting team, Stephen works with organisations to deliver successful intranets and to resolve information management challenges.